Swedish artist Martin Brink has spent the past several years exploring methods of creating photographic work for web-based distribution. His output is seen in a range of ebooks, gifs, and pdfs, most of which are offered as free downloads, and the image-works he presents are often minimally styled expressions of time, space and movement. 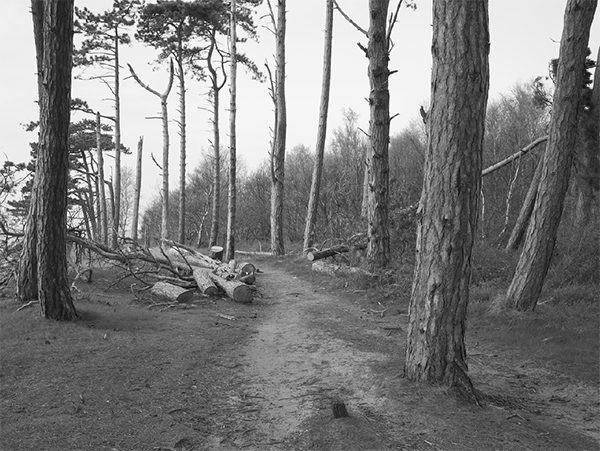 His latest completed work, 2014 Walks, is a PDF book that excersizes an exchange between physical and cyber experience. 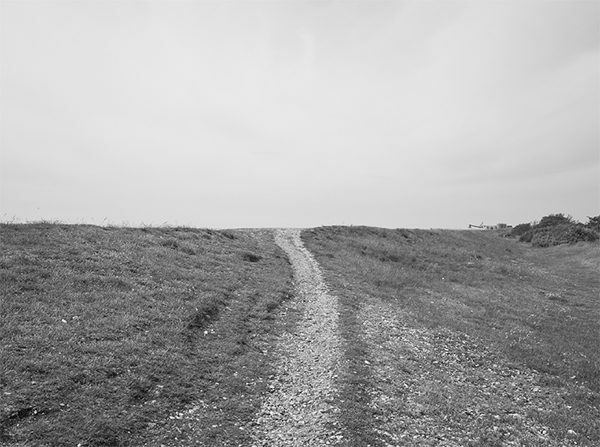 In this work, Brink offers simple and formal documentary pictures made on daily walks, and pairs them with the date the picture was made, and links of news articles found via a google search for the term “walk” on the same day. Gregory Eddi Jones: I’ve been following your work for a couple years now, and you seem to have carved out a unique space for yourself within the current photography landscape, both with your past publishing project, The Digital Photobook, and with your personal work: GIFs, PDFs, and ebooks that you distribute via emails and downloads. It seems that you’ve embraced both screen-based work and web-based distribution models in your practice. What started you down the paths of these interests? What are the advantages and disadvantages of your methodologies? Martin Brink: It’s hard to say what really started me. One reason might be that the web is the ultimate exhibition space, and it’s a democratic one, so why not use it? The current photography and photo book scene has the web/digital to thank for a lot, yet we see it used to a minimal degree for real output or creative uses. The disadvantage is that it’s not exactly “trending” in the photography or art world. GJ: What would you point to as the reasons for the lack of output as you see it? From where I sit running this site and searching for work to publish, I see an incredibly vibrant field of artists working and experimenting with image technology. But I might agree with you in the sense that many larger photographic institutions have been comparatively conservative in the aesthetics and artistic methodologies they disseminate to wider audiences. MB: Really hard one to answer, but in photography I think people are quite comfortable with working within a certain mold. When there’s something that seems to work and most people do, most are comfortable to pursue that path. Project to photobook, photobook to festival/collectors/bookshops/web, photobook to exhibition… In general I’d say photography is pretty conservative, we tend to look to our own field and not outside. Of course there’s the economic side of it too, both for photographers and publishers. 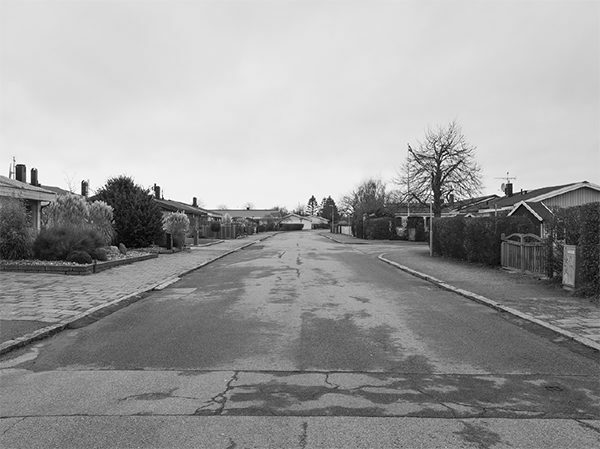 GJ: I’m curious to hear about your great, though short-lived project, The Digital Photobook, which was a blog you published in order to share and showcase digital photobooks in their many forms. What led you to creating the site, and why did you end up letting it go? MB: I started TDP at a time when a lot of app/ebook-based projects started to appear and somehow it felt exciting. The quality varied, but I felt I wanted to give the projects some attention that they didn’t get and I thought they deserved. It wasn’t about any serious examination or critique, instead more about showcasing and giving my humble opinion about them. I actually encouraged people to post their own ratings and comments, sort of like IMDb or Amazon, but little of that happened. A lot of the time it’s just a small number of tastemakers who decide what’s good. I find that a bit boring and maybe even a poor measure. I let it go simply because of the time it took and the fact that you get very little back. I had to focus more on my own work. You should know! Also, I didn’t want to become an authority. I just started it out of curiosity. GJ: Let’s talk about your latest work, 2014 Walks. Can you give us an introduction to this project? 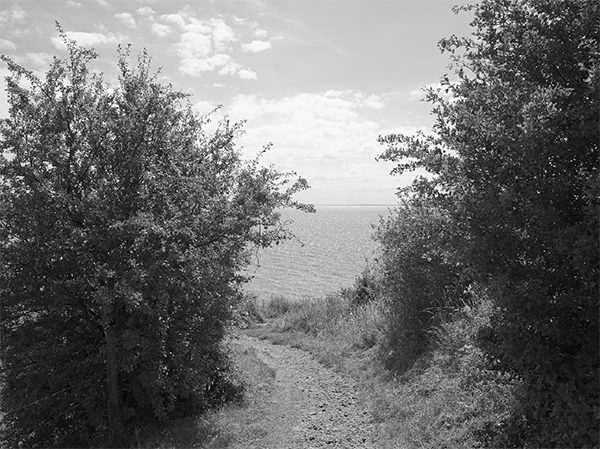 MB: The 2014 Walks PDF derived from my project Walks, that I have been working on for some time. 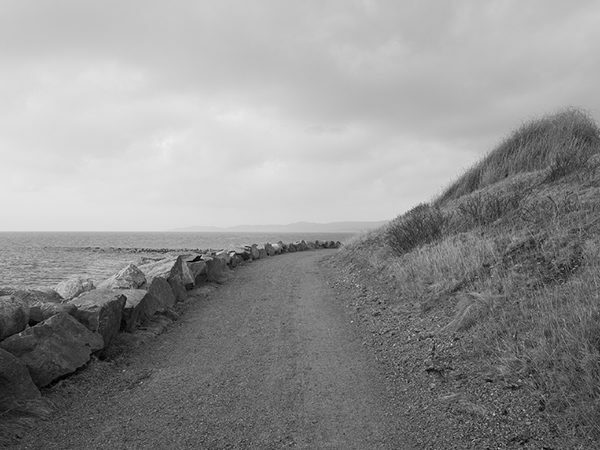 I started making the Walks photos back in 2011 and restarted them more seriously in 2014. It’s an open and ongoing series, and I update my website as I make new photos that I’m somewhat happy with. This spring I wanted to collect some of the photos in some way, but at the time I felt they were a bit boring on their own. I title the photos with “Walk” + the date they’re shot on. For the PDF I made Google news searches, searching for the word “walk” and filtered the results to the dates the photos were made on. So within the PDF we have hyperlinked news headlines below the photo and date. There’s a certain friction between these silent and maybe even old fashioned photos, and the headlines that I thought was quite interesting. I also like the idea of chance of what I will find based on a certain parameter and that every page can be researched further, outside the PDF context. Then there’s the fact that most of the links probably won’t work for a very long time, but the headlines will. GJ: That friction between the photographs and the links you mention is really interesting to me, especially because it seems that for many, including myself, day-to-day experiences are mediated more by the virtual world rather than a physical one. Is this a concern of yours given that the majority of your work is made to be experienced virtually, rather than physically? MB: It’s funny that we call it the virtual world (I know what you mean), but it’s actually very real and for the most part how we experience photography, text and other media these days. 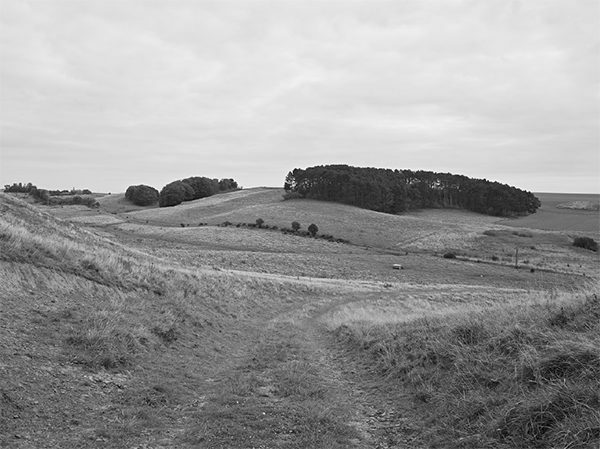 Regarding the 2014 Walks PDF, the photographs obviously come from the real world, but are also pure fiction, in the sense that they tell us very little, apart from the title. The links/headlines on the other hand, lead to news articles which are very much part of, and remind us of, our everyday. I don’t have any concerns, but it’s harder to catch people’s attention online or with non-physical mediums. We don’t put a high value on digital works, but we shouldn’t confuse value with quality or relevance either. GJ: I feel like there’s something to be said about the utilizing the black and white format in the online sphere, because it’s a conscious decision, as opposed to a convenient one. Can you talk about your decision to create all your work in black and white? MB: It’s pretty simple, when making a series of photos, I’ve always found it easier to work in B&W, but I also like the fictional and visual qualities, and I haven’t felt that color added much to my work. That said, I’ve got nothing against color and I’ve always made color photos too. Actually, my newest and very recently started series Practice is in color. We’ll see what happens with that series, but I’ve started to share some photos on my website. I like sharing a bit of my process by uploading and deleting often. Regarding the GIFs, animations and ebooks/PDFs, I’ve found that B&W and its “old look” paired with modern mediums is an interesting clash. B&W is also practical for GIFs because it limits file size and I don’t have to rely on compression as much. Often I’ve thought that a B&W GIF on the screen is more interesting than one of my B&W photos on the wall. It doesn’t feel as cliché, but of course everything is today. Is This the Scariest Tightrope Walk Ever? MB: I just started my series Practice that I mentioned earlier. I don’t know what it’ll lead to, and I don’t even know if it’ll be continued for long. I started it to find the joy and passion for photography again, and if I find that, maybe more ideas will follow. I’ve had other ideas, but I haven’t felt the urge to pursue any of them. 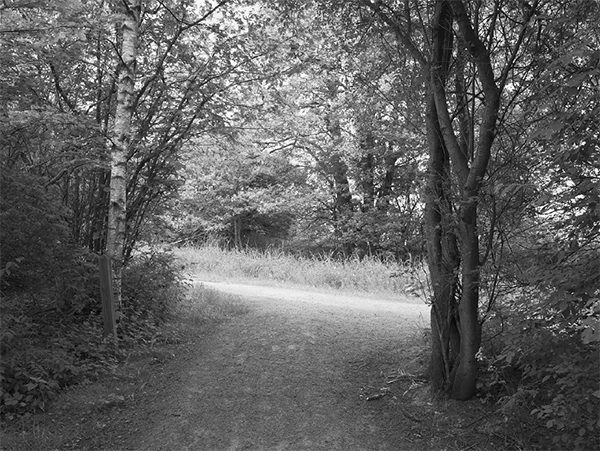 This series means going back to the basics, to photograph and edit what I feel looks interesting, without any prejudice. Like with Walks, it’s a formula to produce photographs. This time it’s a very broad series, maybe even limitless, but I have to know why I’m making photos, and now I feel I have a reason. Martin Brink (b. 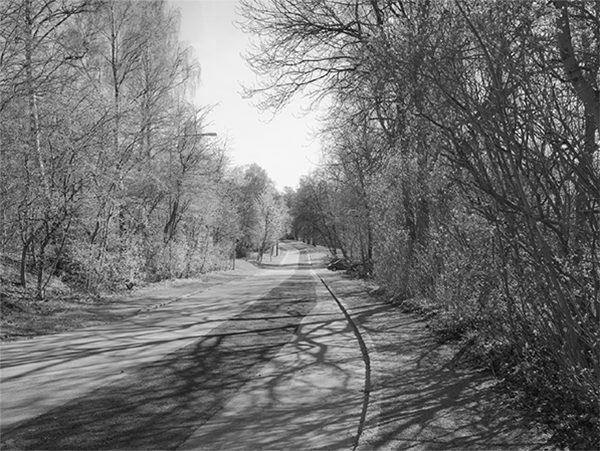 1984) is a Swedish photographer and artist. He is equally excited by internet and screen output as by the physical print medium, which has led him to make several of his projects available as PDFs and ebooks, to create animations (initially just sent out in email newsletters), and to found the blog “The Digital Photobook”.